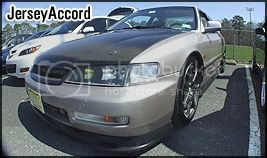 So i have a prelude sh and ive already started fixing her up a bit ( ACT street clutch and flywheel so far...). Im taking it slow but i really want to know what is the top speed of my car right now with just those 2 mods in. I know they might be limited too 135 MPH but im not sure if thats true or not... I also want to know if theres a better top speed for this car and how can it be obtained without disabling ATTS. Thanks guys!!! Disabling ATTS isn't going to lower or raise your top speed. At all. It has nothing to do with it. An aftermarket clutch and flywheel, not gonna make much of a difference in top speed, if at all. Why do you want more top speed anyway? Plan on going to the autobahn soon? Yea, quote for truth. Torque > Speed. 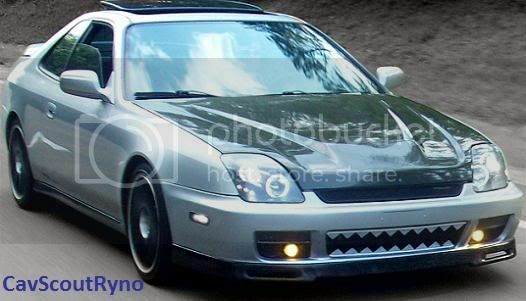 But as far as the OP's question goes, the Prelude should clock out at 150-160 MPH. Obviously, going these speeds with only an aftermarket clutch and flywheel isn't smart in the slightest. Yeah I agree. I'm not trying to go that fast with what I have on I know the car won't be able to reach that speed. I've gone like 120mph before on a closed course before and after that the clutch felt a little weird. Probably not the smartest idea in the world but I wanted to find out what the lude can do. i had mine at 147-149 area, a hair under 150.. If u wanna know the fastest u can go, why not go out late at night when no cars are out, and get on an interstate and just see how fast u can get it? Ive went 135mph in my auto prelude and I will NEVER do that again unless Im absolutely positive everything on my suspension and my tires can handle it. I agree it's very dangerous. I'm not looking to go this fast I'm just curious. I got my stock h23 to 137 on the turnpike. With 2 people and a set of rims in the car. But yea, I've taken my 5th gen with bolt-ons up to 120 MPH several times. I won't ever go anything above this...If I were to get caught going a buck twenty; my Lude would be automatically impounded, and I would probably get a massive fine. Lol. Yea I dunno about where you live, but by me if you get caught doing three digits thats an automatic loss of license and impounding. I got my bone stock 98 SH up to 120 and there was room to spare. I slowed down cause it was getting trafficky. I'm thinking it could prob get up to 130 without too much crazy happening. I did 148 and then I got kinda scared lol because my suspension is all stock and ****..
Been up a little over 120. Takes effing forever. That's why you get caught. Takes forever? You can hit 90+ in 3rd gear. I got up to 135mph and had a little over 500rpm before red line, scary ****. Yeah it takes forever man. Too much winding it out for my tastes.